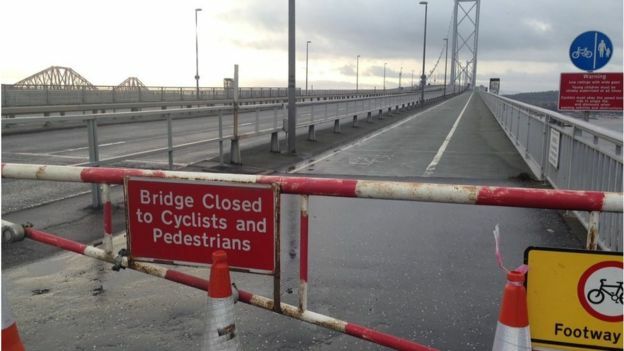 The Forth Road Bridge is closed to all traffic following discovery of major structural faults. All traffic is being diverted via the Kincardine Bridge which is causing major congestion on this the only alternative route. The bridge isn't expected to re-open until after Christmas which will impact severely on all traffic between Edinburgh and north of the River Forth. Rob Shorthouse, ScotRail communications director, said they had managed "so far" to increase the train capacity between Glenrothes and Edinburgh by about 25%, from 81 journeys a day to over 100 to help relieve congestion. He said: "This is a really difficult set of circumstances because services are busy. "All the trains that we have got are out there on the network. "So, because this is such a national priority we are looking right across Scotland to see where we can move some capacity." 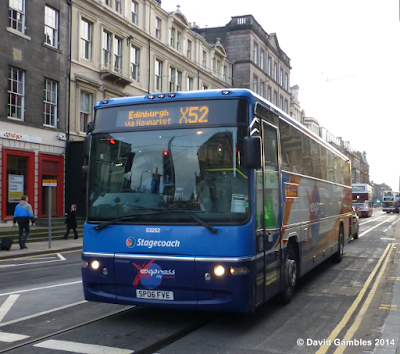 Stagecoach say that all routes normally crossing the bridge will be diverted via Kincardine Bridge. Services will operate to their normal routes until Halbeath P&R, Ferrytoll P&R or Dunfermline bus station where customers will be transferred onto dedicated services running to and from Edinburgh via the Kincardine Bridge and Ratho. Customers travelling to Edinburgh Airport will also use these services via Kincardine which will stop at Ratho Station for transfer to shuttle buses running to and from Edinburgh Airport from there. Customers can expect significant disruption to services travelling to Edinburgh as a result of this diversion. Delays will also be expected on other routes across West Fife and the Queensferry area as the volume of traffic travelling towards Kincardine Bridge will be very high. In light of the recent announcement that the Forth Road Bridge will not reopen until the new year, we are currently working on further plans for public transport options in conjunction with Transport Scotland. 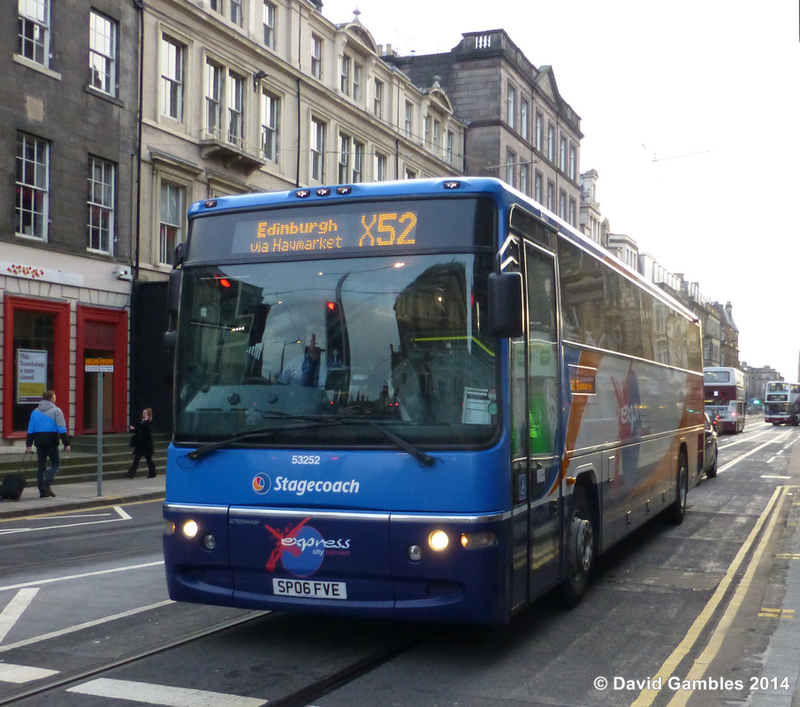 Could this mean that Stagecoach will revive the idea of running a ferry service across the Forth or maybe a service utilising the amphibious buses tested across the Clyde in 2010? An NHS Fife spokesman said: "Any potential effect on patients and staff is currently being assessed and we are exploring the provision of accommodation and transport, where necessary, to ensure we continue to provide high quality care." A spokesman for the Scottish Ambulance Service said: "Ambulances will continue to travel across the Forth Road Bridge when responding to emergencies. "Arrangements are being made to maintain ambulance transport of non-emergency patients to appointments using alternative routes and hospitals, as appropriate." He added that local teams were working with partners at NHS Fife, Tayside, Lothian and Forth Valley to mitigate any potential disruption to services for patients. The southbound carriageway of the bridge has been shut since the discovery of steelwork defects during inspections on Tuesday. Since then engineers have identified eight other parts of the bridge where similar problems could be encountered. The decision to close the bridge completely was taken late on Thursday after the latest reports indicated the faults were more serious than had earlier been thought. Traffic volumes have increase dramatically since the bridge's opening in 1964, shortening its projected lifespan. Concern about corrosion of the main suspension cables, first confirmed more than a decade ago, prompted ministers to order a new crossing. 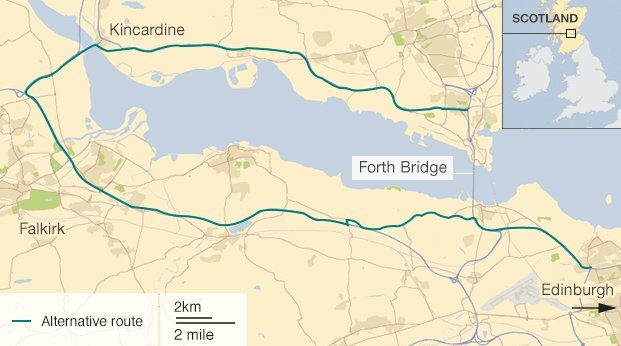 A new £1.4bn Queensferry Crossing over the Firth of Forth is due to open in December next year.